"It's about the human condition right now", states Max Cavalera in a recent press release for SOULFLY's latest album, "Savages". "We have the Internet and we're working on missions to Mars, but we are still decapitating each other and blowing up marathons. We're still savages. Even with technology and how far we've come in the world, our spirit is still that of a savage". Savage has been SOULFLY's motif since pushing every boundary imaginable on their first four albums. Gone are the omnipresent "Roots" minded percussive cannonade and funk flitters that made SOULFLY such a joyride through their first albums. For better or worse, so are the rap interludes that turned some metal purists off. What Max Cavalera had tapped into within his post-SEPULTURA enterprise was something bred of imagination, urgency and post-trauma. For all Max had lost before starting this band, SOULFLY became a healing stone for its listeners, much less its creator. Of late, SOULFLY has moved on to embrace the ugly spirit of societal condemnation Cavalera left behind in SEPULTURA (much less NAILBOMB) and for better or worse, "Savages" is a return at-heart to "Chaos A.D.", only with less primeval results. Considering SOULFLY is once again label neighbors with Max's alma mater, a vicarious rubbing off effect seems inevitable. One only needs turn to "This is Violence" or "El Comegente" on "Savages" to feel swept back to the days of old in the Cavalera-verse. Now with former STATIC-X bassist Tony Campos in the fold alongside mainstay guitarist Marc Rizzo and Max's son Zyon on drums, SOULFLY retains its recent mindset of brutality, albeit there's an immediate polished verve to the whole thing that makes it palatable, if overcooked at times. Continuing to stray from the blunt tribal spices that made "Back to the Primitive", "Downstroy", "Bumba", "Brasil", "Sangue de Bairro" and "Mulambo" red-hot, shimmying pleasure pills, SOULFLY stays dirty and unabashedly heavy. 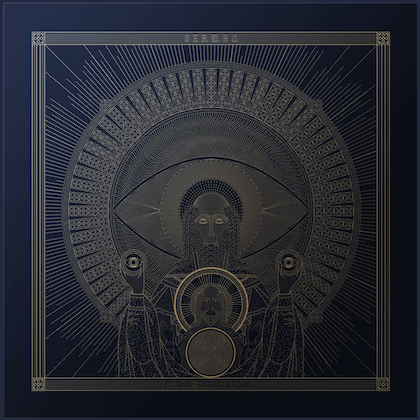 Instead of swarming "Savages" with non-metal elements, the majority of the external trimmings (provided more by electronic twitters, beat samples and blunt coldwave) are served as outros. Whether or not you approve of the straight-up nasty metallic approach SOULFLY has employed since "Dark Ages", at least "Savages" attempts to revive some bouncing, rhythmic tempos, as if trying to usher "Chaos A.D." into a new order, if doing little to honor SOULFLY's (much less SEPULTURA's) ingrained spiritual fonts and ethnic beautification. Albeit, Tony Campos blaring in Spanish to counter Max's Portugese bellowing on "El Comegente" is one of the album's moments of cultural homogeneity, despite the song's unpleasant subject matter of a Venezuelan man-eater. 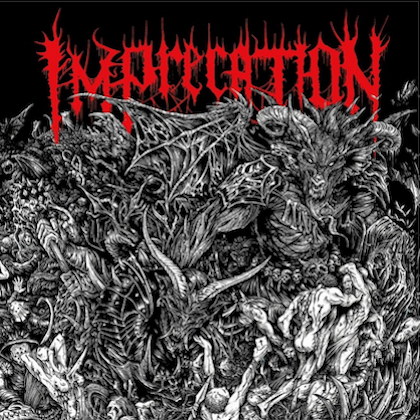 The riff is the name of the game on this album. The tempos vary somewhat but it's obvious much labor went into structuring rhythmic guitar and bass patterns around Zyon Cavalera's developing, though hearty drumming skills. Instead of demanding he prove himself a blast furnace, Max, Rizzo and Campos pounce on the opportunity to deck and pummel their lines while Zyon hones his licks. "Master of Savagery", "K.C.S." and "This is Violence" contain some of Zyon's best punk and funk-driven grooves. In turn, the rest of the band boosts his confidence by dishing out some of the coolest riffs in their arsenal. "Savages" is more epic-minded with its frequently drawn-out song durations. Sometimes the method works, sometimes it becomes a case of overabundance. In the case of "Bloodshed", the extensive finale creates a downtrodden cadence that bookends with the plodding and angry opening verses. In-between, "Bloodshed" steps up the pace with menacing hooks, moshing bursts and grubby wallowing on the choruses. The stripped down jam session at the end of "El Comegente" works instead of detracts, and it gives "Savages" its most realized connection to the band's building blocks. In keeping with the situation, "Cannibal Holocaust", perhaps the most insidious of all horror films, is given an appropriately filthy thrash groove reminiscent of early SEPULTURA as Max bays about hope being lost for mankind. To endure the movie "Cannibal Holocaust" beyond one sitting takes a constitution exclusive of moral taste. It implies a bloodlust, be it subliminal or more severe. While "Cannibal Holocaust" the song could've been a silly death metal ode in the vein of CANNIBAL CORPSE, Max uses the vehicle to indict humanity on a more base level. Max saves the goofery for "Ayatollah of Rock 'n Rolla", a fun, mindless jaunt that does overstay its welcome with a few fakeout endings, but at least the base melody and bobbing crunch grooves of the track sit agreeably. It doesn't hurt that CLUTCH's Neil Fallon drops in for narrations and some extra hollers. Fallon is one of a few guests on "Savages", also including Mitch Harris from NAPALM DEATH on "K.C.S." and I DECLARE WAR's Jamie Hanks on "Fallen". Max even gathers his full brood to yell all over "Bloodshed". While not as thrashy and vociferous as "Dark Ages", "Conquer" and "Omen", "Savages" is still a jagged pill to shove down, made passable by Tony Campos' up-front bass plucks along with Marc Rizzo's reliable leads and decorative layers. Rizzo has always been able to dress up Max Cavalera's brutish chord structures and keep SOULFLY soaring despite the reproachful about-face in tone they've taken as a band. 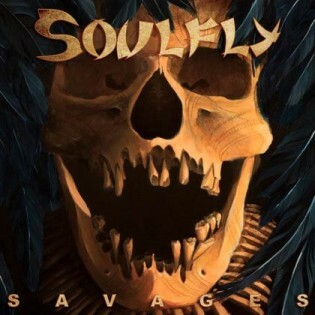 A transitional album to be sure, "Savages" is more entertaining by and large because of SOULFLY's will this time instead of its mere obligation to survive.